D735 by Holly. CSX 22 & 587. 18:35 EDT WHAT SOUNDED LIKE Q327 WENT THROUGH GRANDVILLE. WEB APP IS VERY STATICY FOR SOME REASON. NB Q150 just turned east at Plymouth. CSX 957 leading 61 double stacks, 27 singles, and DPU CSX 3459 on the rear. Q327 arrived Bangor mp CG60.7 @ 20:07:38 with CSX engine #447 & 58 cars. Waiting at Benton Harbor for Amtrak to pass (Amtrak cleared Benton harbor @ 21:20). Last edited by Tom49801 on Thu Mar 28, 2019 9:20 pm, edited 1 time in total. 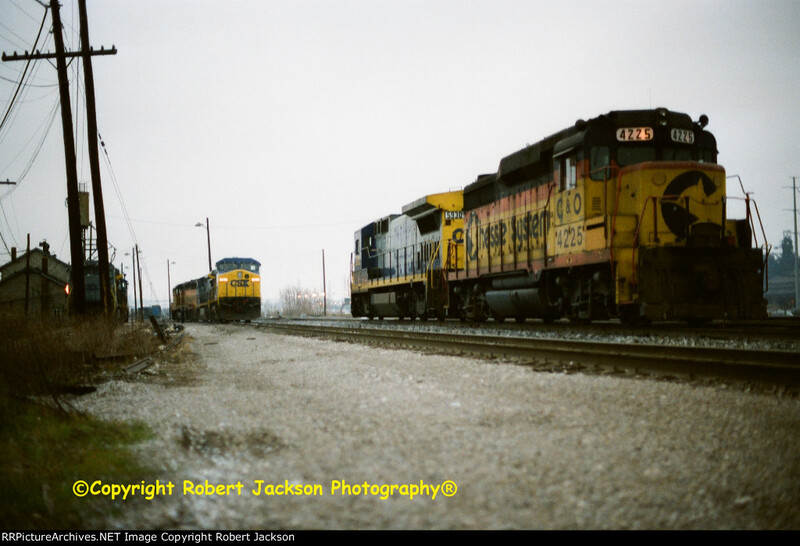 D736, CSX 8235 & 8255 by Holly. Robertrains wrote: » Tue Mar 26, 2019 4:44 pm Well I guess UP AC4400CW #6310 (SP Patch) is headed back to Grand Rapids! Man I wish I went to Rougemere Yard this morning!!!! Now, does anyone know if this unit will come back? Man, it probably is just gone now!!!! Some have all the luck others don't have any at all. Have seen it three days in a row, twice in daylight. I guess that's how it goes BL2-1843!!!!! Well I had my "Luck" turn around yesterday (posted last night) by catching UP AC4400CW #6310 (SP Patch) in New Boston!!!! Now it's in PA!!!! Don't feel to bad years ago in Fostoria i had a streak of bad luck. Back in the 90s at night there was a SP SD70M in full SP paint and numbers unpatched in the lead at 2 in the morning. A ex EL SD45-2 in the lead in fresh YN2 paint at 1 in the morning. And the kicker was a Susquehanna F45 in the lead! At 1 in the morning! I have missed my fair share of good trains in my life! Just last year's "Weed Train" with the WC GP40-2 is one of the recent "Misses" I thought about!!!! I have never caught a NYSW F45!!!! 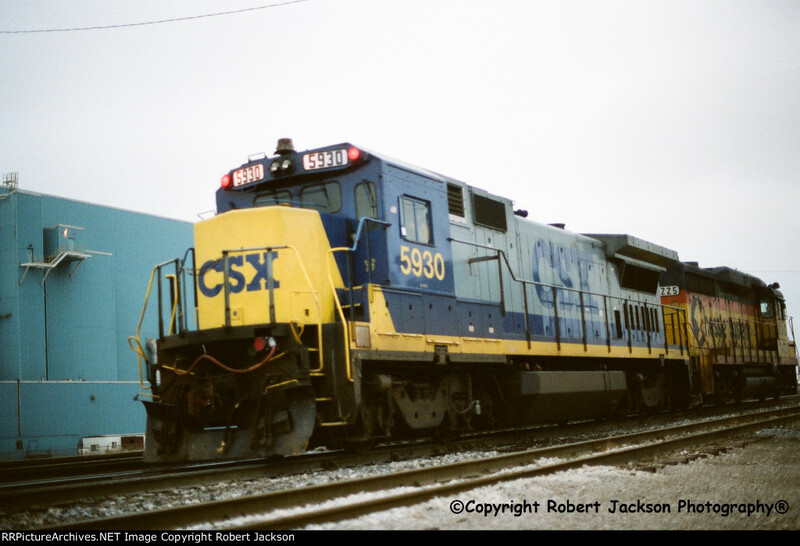 I did in 1992 catch a former NYSW B40-8 on CSX at Rougemere Yard, Dearborn, also with Chessie GP30M!!!! Last edited by Robertrains on Thu Mar 28, 2019 9:42 pm, edited 3 times in total. Q327 reported by the DD mp CG91.9 @ 21:39 with CSX engine #447 & 58 cars. SB D736 clearing 7 Mile Rd. CSX 8235 leading. W001 is currently eastbound between Lake Odessa and Lansing. Left GR a little before 08:00. Q32929 by Howell at 09:18. CSX 8064+8255 with 88 cars. Two good EMD units. 8200s are rare, most assigned to yards. Had not seen that one since 3-25-05. Should be at least 35 more cars to pick up Lansing if they get them. Q32829 went east at 06:58 with 136 cars. CSX 3247+3201 on the head end. Last edited by BL2-1843 on Fri Mar 29, 2019 9:46 am, edited 1 time in total. SD80MAC wrote: W001 is currently eastbound between Lake Odessa and Lansing. Left GR a little before 08:00. Heard them pass through just after 0900. BL2-1843 wrote: Q32929 by Howell at 09:18. CSX 8064+8255 with 88 cars. Two good EMD units. 8200s are rare, most assigned to yards. Had not seen that one since 3-25-05. Q32829 went east at 06:58 with 136 cars. CSX 3247+3201 on the head end. W001 will meet Q329 at Ensel. Q329 has an approach at North Lansing. W001 EB with an approach at MA, 1040. Last edited by GP30M4216 on Fri Mar 29, 2019 10:48 am, edited 1 time in total. Y106 eastbound at Fox with 2060 and about a dozen cars at 10:07. Michigan Shore MMRR 2019, HESR 2025 with 10 hoppers, 8 tankcars south at Riley St. Holland 10:37 AM. Heading back north with 5 hoppers, 12 tankers 12:04 PM. Q326 arrived Bangor mp CG60.7 @ 11:59:05 with CSX #4582 + #73 & 82 cars. Q326 arrived Pullman mp CG48 @ 12:18:28 (no pushers added). q32629 Saugatuck MI. q32729 set for 7pm grnad rapids. q32929 ensel lansing 11am. d70029 arrived grand rapids noon. d70829 lansing 11am. w00129 south lyon MI, enroute to Plymouth and possibly Toledo. q15029 north Baltimore. q15129 millard ave Toledo. q50829 Stockton OH. q50929 erie junction OH. q13128 Hadley IN. q13229 Hadley iN. Q326 reported by the DD at mp CG19.1 @ 13:15 with CSX #4582 + #73 & 82 cars. Q32929 with CSXT 8064, 8255 and 123 cars west at Fox 14:00. Last D736 SB at Grand Blanc at 18:15.